In order for Domicilium Trace to be ready for launch, our spatial- and attribute databases had to pass a trial. Since there are so many human interventions involved in the sheriff system, we acknowledge that we will most probably never reach 100% correctness. 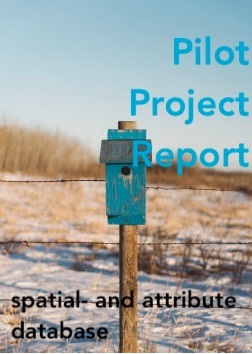 We therefore decided that if a success rate of 80% could be achieved during a trial, we were ready to implement the spatial- and attribute databases, which we have compiled over a period of more than 4 years. For conducting the trial, we were provided with domicilium address records that were successfully visited by a sheriff, during the period January 2017 till December 2018. The sheriff service areas for each of these records were therefore known. Although the data used still contained some duplicate records that were not all being able to be removed (due to time constraints), the few duplicate records remaining were deemed insignificant to the outcome. 1. Records with no sheriff data allocated to it – 1109. These were records that could not be geo-coded (geo-graphically allocated to a particular location or address), by the geo-coding service provider to which this part of the process was outsourced. This could have been due to these records being (a) not recognised at all (being incomplete), or (b) were not present and available in the particular NAD (National Address Database) being utilised, or lastly (c) due to geo-coding operator error. Since the geo-coding was not the component being tested, but rather the accuracy of the spatial- and attribute databases, these records were left out of the calculation. 2. Records that were obviously grossly “mis-geo-coded” – 53. 3. Grossly “mis-geo-coded” records identified within the control data – 17. 4. Records for which sheriff service area boundaries could have changed during the 2017/2018 period, due to the rationalisation of magisterial district boundaries affecting these service area boundaries, due to the appointment of new sheriffs in these service areas, over this period – 304. 5. Records that resulted in a 100% match between the trial data and the control data – 3328. 6. Records that corresponded after taking into consideration the variation in spelling and/or naming of the same sheriff service areas – 1567. 7. Records for which the service areas identified in the trial data and control data, are serviced by the same sheriff (office), resulting in the relevant process being able to be implemented successfully – 221. 8. Records where the trial data and the control data did not correspond – 248. After record classes 1 to 4 were left out of the equation, record classes 5 to 7 deemed as positive and only record class 8 rated as negative, it resulted in a correlation between the trial data and control data of 95%. Information regarding our pricing structure and turn-around times, are available on request.